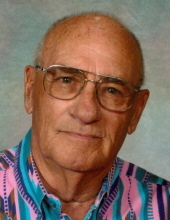 Winnebago – Leo Eugene Weires, 85, of Winnebago, died Friday, November 30, 2018 at home. Born November 21, 1933 in Shirland, IL, the son of Leo Michael and Genevieve E. (Myers) Weires. He graduated from Durand High School and is a veteran of the United States Navy from June 6, 1952 to June 5, 1956 serving on the USS Hancock aircraft carrier. Leo married Mary Joan Cox on May 24, 1958 at First Lutheran Church in Pecatonica. He worked as a machinist forty years at Mattison Machine Works in Rockford. A member of the First Presbyterian Church of Winnebago serving as an elder, trustee and clerk of session. Leo spent many years as a winter Texan golfing. Leo’s family is forever grateful for Mercyhealth at Home’s care and love. Leo is survived by his wife, of over 60 years, Mary Weires of Winnebago; brother, Kenny Weires of Pecatonica; brother-in-law, Jerry (Marianne) Cox of Pecatonica; sister-in-law, Patti Flickinger of Rockton; several nephews and nieces. Leo is predeceased by his son, Todd Weires; brother, Michael Weires; sister, Phyllis Schneider. Funeral service 11:00 a.m. Wednesday, December 5, 2018, with a visitation starting at 10:00 a.m., at the First Presbyterian Church of Winnebago with Pastor Carroll Smith officiating. Interment at Winnebago Cemetery near Winnebago. In lieu of flowers a memorial will be established for the First Presbyterian Church of Winnebago. Arrangements by Genandt Funeral Home, 602 N. Elida St., Winnebago. For an online obituary and tributes go to www.genandtfuneralhome.com. "Email Address" would like to share the life celebration of Leo Eugene Weires. Click on the "link" to go to share a favorite memory or leave a condolence message for the family.